Hey There! Thanks for stopping by again to take a peak at what I've been busy working on. As I had mentioned in my last post I was moving away from Thank You cards and towards Birthday Cards. I created this card in blues so that you could give it to a male (or female). I had also mentioned before that I am on a peel off sticker kick at the moment, and that I am very much enjoying using them on my cards. I also pulled out my Promarkers and since they were still on my desk I thought that I would just reach for them to colour the presents with various colours of Blue. 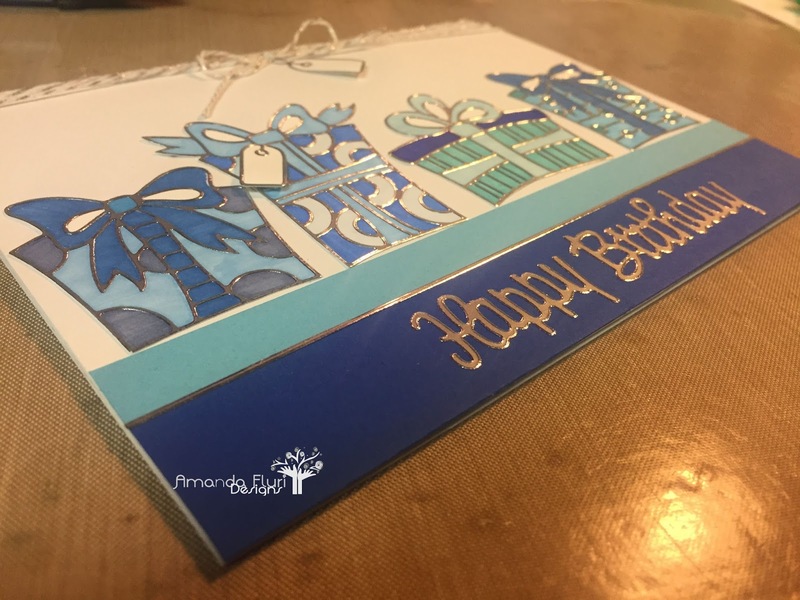 I love the monochromatic colours of this card, and the silver accents which just give it that class. 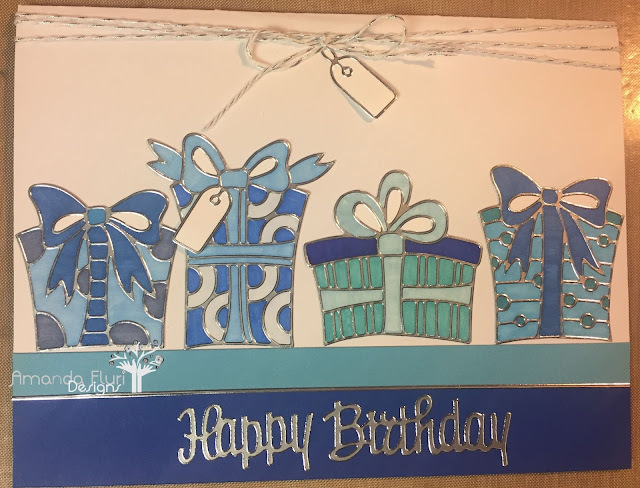 I am thrilled with how this card turned out, and wish that I had more of these present peel offs that way I could create another one, with a different colour. I love that this card literally could be done in any could and the sentiment could read anything, and it could be used for any occasion...think about it (birthday, christmas, easter, valentines, baby/wedding showers, etc). Tim Holtz Scissors - used to cut the ribbon at the top of the card, and to cut the pieces of blue paper so they are flush with the edges of the card front. I would love to know what you think of this card, please leave me some love below!